Baccarat and THG Paris team up for Pétale de Cristal. From the sensual portrait of 16th century beauty Diane de Poitiers to accounts of Gabrielle “Coco” Chanel’s suite at the Ritz overlooking the Place Vendôme, the French are famed for turning the simple act of bathing into a wonderfully self-indulgent art. The latest accessories to continue this centuries-old trend are the outcome of an alliance between two noted French companies. 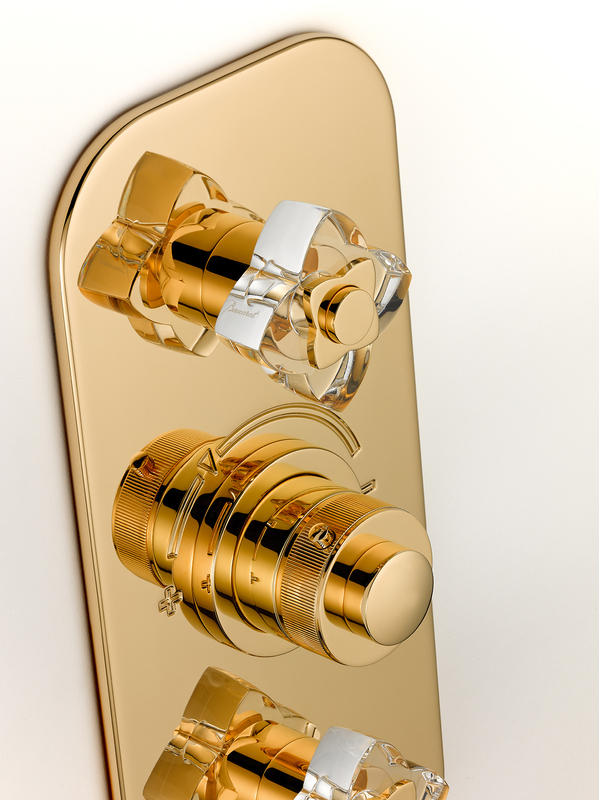 Founded in 1950, the family firm of THG Paris has become renowned for its fine bathroom fittings. These are taps—and other bathroom details—stylish enough to take their place in the most splendid of venues, including Hôtel de Crillon in Paris, the Hermitage in Monaco, and the Emirates Palace in Abu Dhabi. Believing that two luxuries are better than one, along the way, THG has teamed up with prestigious French companies like Lalique and Christofle. 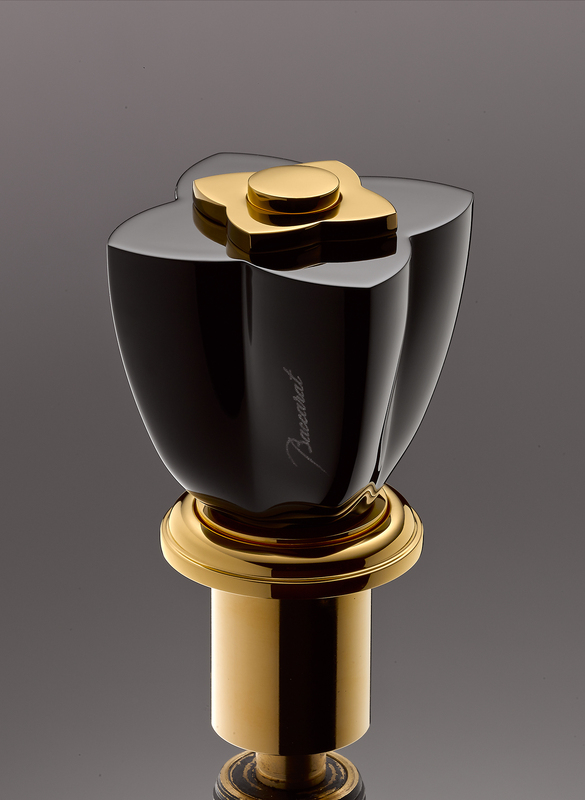 Its latest alliance is with Baccarat, a firm whose name is a byword for sparkling luxury. While Baccarat was founded in 1764, the famed crystal company consistently keeps ahead of the times—remember that ground-breaking Philippe Starck-designed black chandelier? 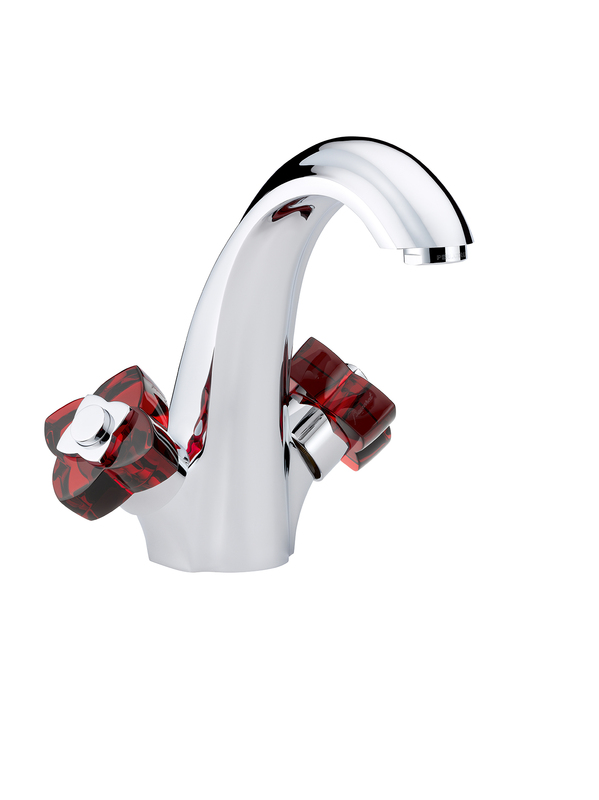 Teaming up with master tap maker THG is only the latest in glittering collaborations. 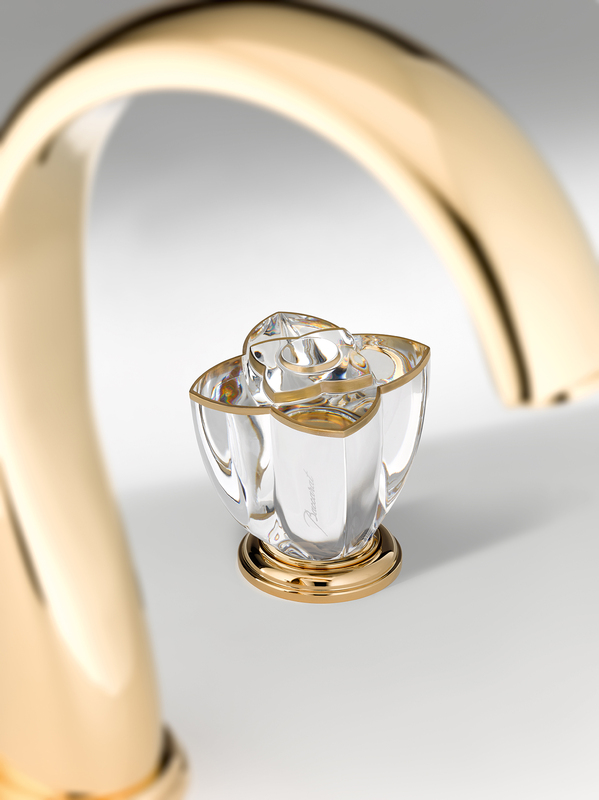 The Pétale de Cristal collection is a dynamic partnership inspired by flowers conceived by noted designer Pierre-Yves Rochon. 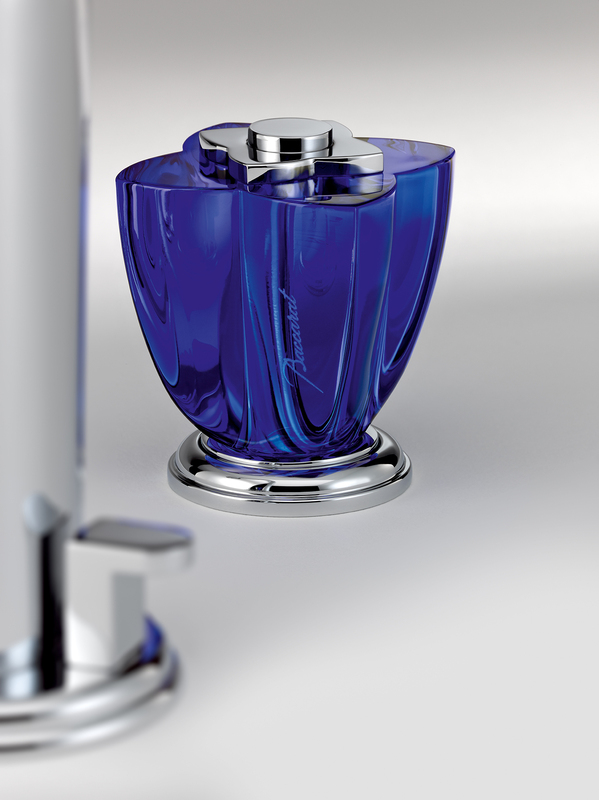 Sapphire blue, clear, red, or black crystal is combined with a gleaming chrome or gold finish. The result is a collection of fittings that work equally well in a modern or traditional setting. The stylized four-petal crystal flower appears on gracefully curved mixer taps and on towel bars. It also acts as the attachment for a tumbler or a soap dish, or as a single hook for a robe. One of silk or cashmere, naturellement.